It is better to build children than to repair men. 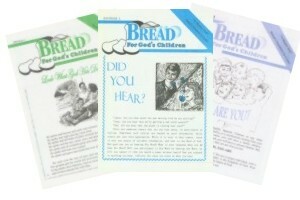 This magazine for children, is just one of the areas of outreach of Bread Ministries. to reach around the world. Contact us for more information, a subscription, or a free samples of our publications. See the contact page for opportunities to support Bread Ministries.